Article 15A of CAP 65 (Traffic Regulation Ordinance) states that ‘No Person shall drive or attempt to drive or be in charge of a motor vehicle or other vehicle on a road or other public place if he is unfit to drive through drink and drugs’. A police officer needs to be reasonably suspicious before administering a breathalyser test, and the number of breathalyser tests has dropped significantly between 2017/8 to an average of 160 tests (2 tests every 5 days) per annum. Malta is one of the few countries where random breathalyser tests are not carried out. Tests are not conducted in the case of traffic accidents resulting in injuries and the law is still very weak with regard to drug testing and enforcement. The Malta Insurance Association feels that more needs to and can be done to reduce the incidence of drink and drug driving on our roads through better enforcement, and this Conference will raise some concrete proposals and provide delegates with an opportunity to share their experiences which make our roads safer than what they are. 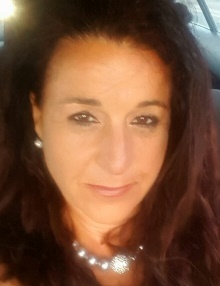 Ms Catherine Calleja BA (Hons), ACII is a Chartered Insurance Practitioner and has been working in insurance for over 35 years. She is the Managing Director of Atlas Healthcare Insurance Agency Ltd and Director and Group Company Secretary of the Atlas Group of Companies. 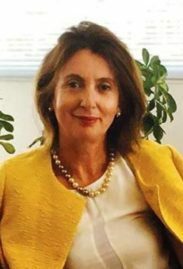 Having held a number of positions within the Association where she has been active for a number of years, Ms Calleja is currently the President of the Malta Insurance Association. She also chairs the HR committee of the Malta Chamber of Commerce, Enterprise and Industry. Ms Calleja is a visiting lecturer at the University of Malta. Dr Michael Falzon LL.D, MP - Minister for the Family, Children's Rights and Social Solidarity Dr Falzon started reading Law at the University of Malta from where he graduated as a Notary in 1989 and as a Lawyer in 1991. He also continued with his banking studies obtaining the international qualification as an Associate of the Chartered Institute of Bankers (ACIB). 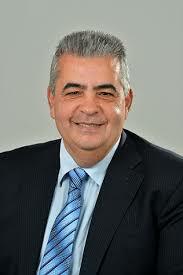 Dr Falzon served as Parliamentary Secretary for Planning and Simplification from April 2014 to January 2016. Following the 2017 general elections, Dr Falzon was appointed Minister for the Family, Children’s Rights and Social Solidarity. Dr Ian Borg LL.B, Dip Not Pub, LL.D, MP - Minister for Transport, Infrastructure and Capital Projects Graduated as a Doctor of Laws from the University of Malta after successfully reading a Doctoral Degree in Laws, a Diploma in Public Notarial Practice and a Bachelor’s Degree in Law. Dr Borg served as Parliamentary Secretary for EU Presidency 2017 and EU Funds within the Ministry for European Affairs. Appointed as the Minister for Transport, Infrastructure and Capital Projects since June 2017, Dr Borg is currently responsible overseeing the construction and maintenance of roads, the effective implementation of different programmes and major Government infrastructural projects. Madame Justice Consuelo Scerri Herrera obtained her Diploma of Notary Public from the University of Malta in 1988 and her Doctorate of Laws also from the University of Malta. She was called to the bench in 1997 as a Magistrate and presided over civil and criminal cases which fall within the competence of the Magistrates Courts. She was appointed Judge of the Criminal Court in June 2018. Justice Scerri Herrera has written many articles on the subjects of Criminal Law and Constitutional Law. She is a visiting lecturer of Criminal Law and an examiner in Criminal Law at the University of Malta. She has also taught in the Police Academy in the courses for the new Inspectors of Police and has attended a number of seminars and courses overseas. Prof Richard Muscat is Pro-rector at the University of Malta and Professor at the Department of Physiology and Biochemistry. His primary research interest is that related to the brain mechanisms that sub serve goal directed behaviour. In attempting to address this issue the Laboratory of Behavioural Neuroscience at the University of Malta has been instrumental in developing models of anhedonia that have provided insights into the brain areas, neuronal circuits and chemical transmitters involved in changes in rewarded behaviour. Prof Muscat is the Chairperson of the National Addictions Advisory Board, the body responsible for the development of The National Alcohol Policy 2018-2023. Mr Frank Mütze is Bachelor of Arts (B.A.) in European Studies, graduating from Maastricht University. 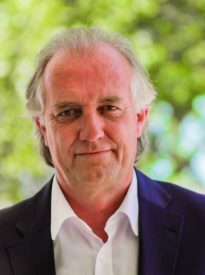 He pursued a Master's degree from the same University, with his studies focusing on the EU's public policy process, the institutions and societal actors involved. His specialisation is in fiscal policy and the European Semester. 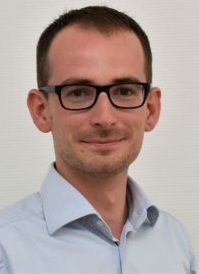 Since 2017, Mr Mütze is the Policy and Projects Officer at the European Transport Safety Council (ETSC) which is based in Brussels, Belgium. In terms of Policy, this deals with connected and automated driving at both EU and UNECE level. As to the Projects, his responsibilities relate to Safe & Sober (alcohol interlocks), drug driving and road safety education. 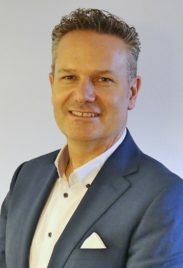 Mr Brett Harman holds the position of Senior Road Policing Advisor within the Global Road Safety Partnership (GRSP), a hosted program of the International Federation of Red Cross and Red Crescent Society based in Geneva, Switzerland. Mr Harman’s role involves providing technical advice and guidance to support implementation of GRSP’s Road Policing Capacity Building programmes by offering enforcement expertise, guidance and training support to relevant enforcement agencies. He has 30 years policing experience which includes specialist roles in road policing enforcement and road safety, intelligence and covert support, organisation-wide operations coordination and, emergency and major event management. Mr Harman also has extensive road policing experience in the international arena where he reviewed policing practise and developed capacity building and institutional strengthening programs related to speed enforcement. He holds post graduate qualifications in Leadership and Management and other tertiary qualifications in Training and Assessment and Organisational Strategy and Assessment. He is also a Fellow of the Australasian Institute of Policing. Dr Paul Cachia is an advocate specialising in Civil and Commercial Law, European Law, Private International Law and Insurance. He obtained a first-class degree in the B.A in Legal & Humanistic Studies with European Studies as his secondary area, and was then awarded the Diploma of Notary Public (Dip. N.P. ), then the Doctor of Laws (LL.D.) in 2003. He is currently in litigation practice at the Courts of Malta dealing with a variety of civil and commercial cases including insurance claims. 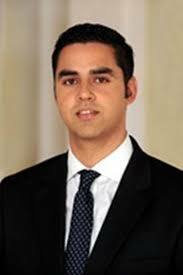 He is a legal adviser to the the Motor Insurers’ Bureau and has advised insurance companies both in Malta and abroad. 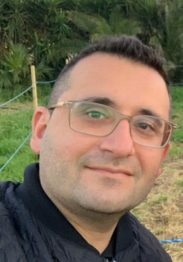 Dr Cachia is also a visiting lecturer at the University of Malta in the Department of Civil Law lecturing on the Law of Tort and in the Department of Public Law lecturing on Private International Law.